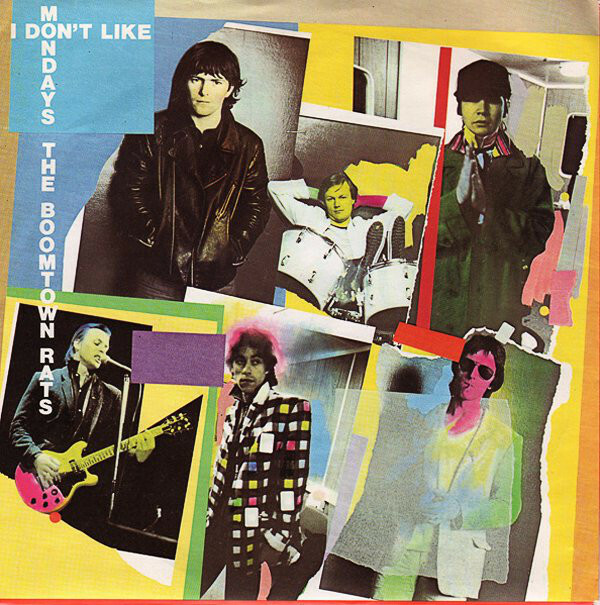 The Boomtown Rats’ ‘I Don’t Like Mondays’ spent a second week at 1 while a former chart topper, Dan Hill’s ‘Sometimes When We Touch’ moved back up the charts, climbing 1 from 3 to 2 to be the biggest challenge to the top spot. Ireland caught up with Canada for weeks at 1 by acts from those nations with both of them on 15. Only Sweden on 19 and The Netherlands on 27 had more for any of the non-big 3 nations. For the second week running, Suzi Quatro’s ‘She’s in Love with You’ was the climber of the week. It followed up last week’s 7 place climb with a further 6 place jump this week as it moved up from 11 to 5. It was the only star rater this week. On the falling front another previous number 1, The Pointer Sisters’ ‘Fire’, was the faller of the week for a second week running. Last week it dropped from 1 to 5 to take the award and this week it fell a further 3 from 5 to 8 and this was the biggest fall this week. One of the 2 songs that were the oldest on last week’s chart was still in the top 20 and that was M’s ‘Pop Muzik’ which was on 16 weeks and enjoying its 2nd week as the oldest. Kiss’ ‘I Was Made For Lovin’ You’ only lasted 1 week as one of the oldest. This week it fell off the top 20 after a run of 15 weeks and a peak of 2. This would be their only SA chart hit. Ace Frehley, a band member had also seen a solo hit with ‘New York Groove’. Adding his hit as part of Kiss to his solo career, he had 2 hits and 27 weeks. ‘New York Groove’ peaked at 4. Also going was Clout’s ‘Under Fire’ which lasted just 3 weeks and peaked at 19. This ended the SA chart career of this local all-girl group. They saw 4 hits make the charts, spent a total of 41 weeks in the top 20 of which 8 were spent at 1, all of them being with ‘Substitute’. ELO returned to the charts with their 4th hit to date, ‘Confusion’. It was the second song off their ‘Discovery’ album to make our charts, the first having been ‘Shine A Little Love’. ‘Confusion’ made it to 8 in the UK and 37 in the US as well as going to 5 in Austrian, 13 in Canada, 6 in Germany, 9 in Ireland and 19 in New Zealand. ‘Discovery’ would spend 5 weeks at 1 on the UK album charts and would produce 4 top 10 singles in the UK. Kelly Marie’s saw her 3rd hit make out charts in the form of ‘Feels Like I’m In Love’ which was written by Mungo Jerry’s Ray Dorset for Elvis Presley. Sadly Elvis died before he got to hear it. It would be Marie’s first charting hit in the UK and would only make it onto the charts there on 8 August 1980, just less than 9 months after it debuted in SA. It would end up getting to the top of the UK charts, knocking The Jam’s ‘Start’ from the number 1 spot before spending 2 there before dropping to 4 and making way for The Police’s ‘Don’t Stand So Close To Me’ to become their 3rd UK chart topper. It would also go top 10 in Austria (#6), Belgium (#2), Germany (#5) and The Netherlands (#3). Nils Lofgren brought us the last of the 3 new entries. His hit was entitled ‘Shine Silently’ and came from his 5th studio album which was simply called ‘Nils’. The album was produced by Bob Ezrin who has also produced the likes of Pink Floyd, Lou Reed and Peter Gabriel as well as having production credits on Trevor Rabin’s solo album called ‘Can’t Look Away’. ‘Shine Silently’ would make it to 24 in both Belgium and The Netherlands as well as getting to 5 in Zimbabwe. However, it would fail to crack either the UK or US charts. Apart from his solo work, Lofgren has been a member of both Neil Young’s Crazy Horse and Bruce Springsteen’s E Street Band. For a third week running we saw only 1 act experiencing their highest placing in the charts and that was Nils Lofgren. All other acts on this week’s chart had seen a higher placing at some stage or other. This was the 19th time overall we had seen this and only once before had we had consecutive weeks of this and that run only lasted 2 weeks. On the weeks by acts from a nation list we saw Jamaica pull 1 ahead of France with 175 to their name and they were in 10th place while France dropped to 11th. Switzerland moved on to 30 weeks and was 15th overall, 1 ahead of New Zealand which dropped into 16th place. Kelly Marie was 8,066 days old when she charted this week. This was exactly the same age as Cat Stevens was when ‘Lady D’arbanville’ made the top 20. This was the 26th time we had seen a pair of acts share the exact same age on the date of their new entries. Kelly also celebrated her 30 week in the charts while ELO were enjoying their 20th. Boney M took 19th place on the overall weeks count list for themselves with 85 to their name. Engelbert Humperdinck and Alan Garrity on 84 dropped into tied 20th place. Boney M also saw their points total move past the 1,100 mark while Cliff Richard was passing the 1,300 mark. They sat 16th and 10th respectively on the points total lists.